deCarta has a soft spot for many of us. We saw them hit highs with Yahoo! and Google and then lows when they were dumped. Just 2 weeks ago I talked with Marc Prioleau about deCarta on my Hangout. Last night though the news hit that Uber was buying deCarta. The deal, which closes later this week, is for deCarta’s technology and talent. Founded in 1996, the San Jose startup provides a software platform that focuses on location-based features, including mapping, local search and turn-by-turn navigation. Makes total sense right? The whole point we use Uber and similar services is because they get a car to us in a couple minutes. Marc Prioleau wrote up his thoughts on the acquisition and came to the conclusion there is much to like about deCarta for Uber. I personally think deCarta helps the backend of Uber improve. Marc’s totally right about that (read what he wrote, it’s worth it). But on the consumer side, the one you and I see when we use the Uber.app I still don’t think they’ll replace Google Maps with deCarta. Marc has a theory that they may want to have a different look to their maps than what Google and Apple have but I honestly think consumers hate change and having Google as the visualization makes perfect sense for Uber. We’ve seen companies like Mapbox do custom tile sets for clients but these projects are the exception to the rule. On iOS and Android, Apple and Google control the maps and most developers just use what is given them by default. The backend system though, those that improve how Uber operates clearly will be given more support. 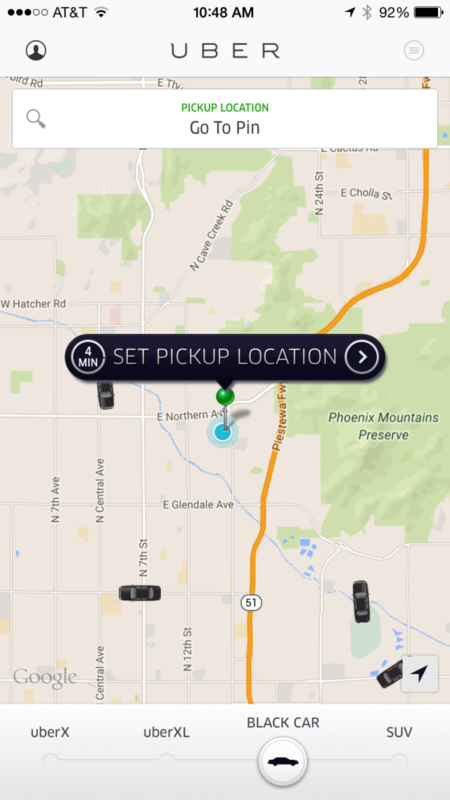 That said, it isn’t like Uber fails to get their cars to their customers. I have no idea what Uber uses today, it could be some Google based application, some custom code created by them or a consultant or maybe even Esri. But having more staff that understand maps completely will only assist Uber in improving their service. Clearly every little thing helps Uber compete against taxis and Lyft so it’s probably money well spent. That and deCarta gets a nice landing spot. Wins all around!